The idea of gooey cheese with generous toppings of meat or veggies on a thin crust is what pizza dreams are made of. 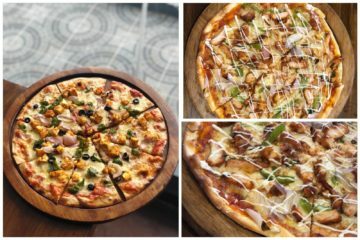 To give the city a taste of some delicious varieties of pizza from across the globe, Trident Chennai has organized a gourmet pizza fest, Lollapalooza (a North American term for a thing that is attractive or delicious) at its restaurant Cinnamon. 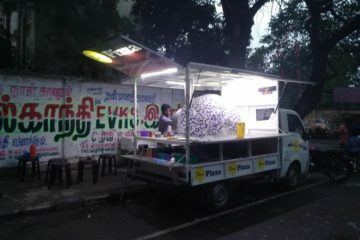 It has quite a few pizza options and there is free pint of beer with every pizza to boot. Tease your palate with tantalizing wood-fired, hand tossed pizzas from across the world delivered straight to your table. You can opt for wholewheat or regular base options and choose the kind of cheese you would prefer – Italian Mozzarella, Greek Feta or Dutch Blue Cheese. From the vegetarian section, we opted for the Pizza Caprese prepared with oven-dried tomato and buffalo mozzarella cheese and splashed with some pesto. The mighty thin crust and the classic combination of tomato and cheese with a bonus of pesto was quite delicious. They also have vegetarian pizzas loaded with spring veggies, assorted mushrooms and tofu. We also managed to taste the Pizza Dietetica meant for weight-watchers. This is prepared on a whole wheat base and topped with asparagus, broccoli, arugula and cherry tomato. In the non-vegetarian section, we opted for Pizza Di Salmone Affumicato, which has a topping of smoked salmon topped with fresh dill herbs and crème fraiche. The smokiness of salmon paired with freshness of herbs and light sourness of the crème is lethal combination. If you love seafood, they have a sensational pizza topped with prawns, squids and fresh basil. We also tried out their extremely filling smoked chicken calzone called Pollo Affumicato E Jalapeno. They have pizza options with bacon, ham and tenderloin as well. However, their star item is the Pizza Per Dolci or dessert pizza. It is a sweet dough base pizza with blueberry, cream cheese and chocolate shavings. It is mildly sweet and the tartness of the blueberry cuts into the richness of chocolate and cream cheese. We just couldn’t resist ourselves from stuffing ourselves with this one. It is unique and interesting. So, if you love your pizzas, this is the place to be this week. The festival is on till June 3.